Memorial Services – Wake Up and Laugh! Services after a person’s passing are held for the purpose of helping that person, because the period between death and rebirth is up to 49 days, that is the meaning of such services. In non-Buddhist traditions like Russian Orthodox Church for example there are also similar services with the special significance of 40 days. The service for KunSunim is not to help her, obviously, it is to show respect and to help yourself. Enlightened people when they die, they do not go through process of what a non-enlightened person would go through, so it is different, the service thus is to help those who conduct the service, because by showing your deep respect to KunSunim you can connect to that enlightened mind, to hold this service is like keeping the light on, or inviting the light to be present. 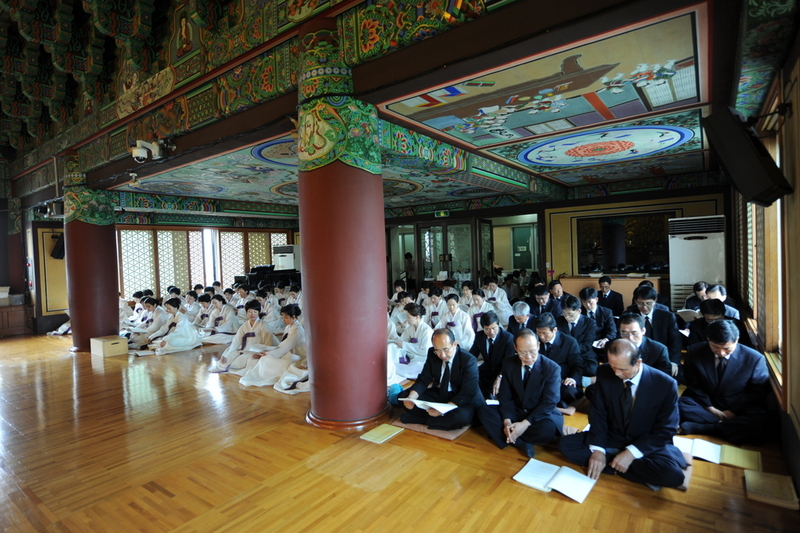 I think the best service would be not only to show traditional ceremony, but personal effort in practice so that all her teachings would become your own. 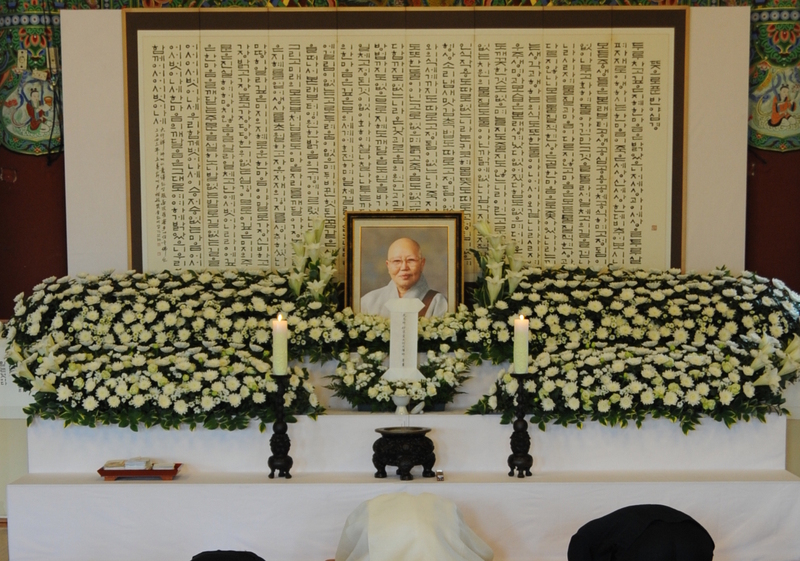 It would be nice to see the video of these memorial services with sunims chanting Diamond Sutra. thank you, Tanya, for your wonderful explanation. 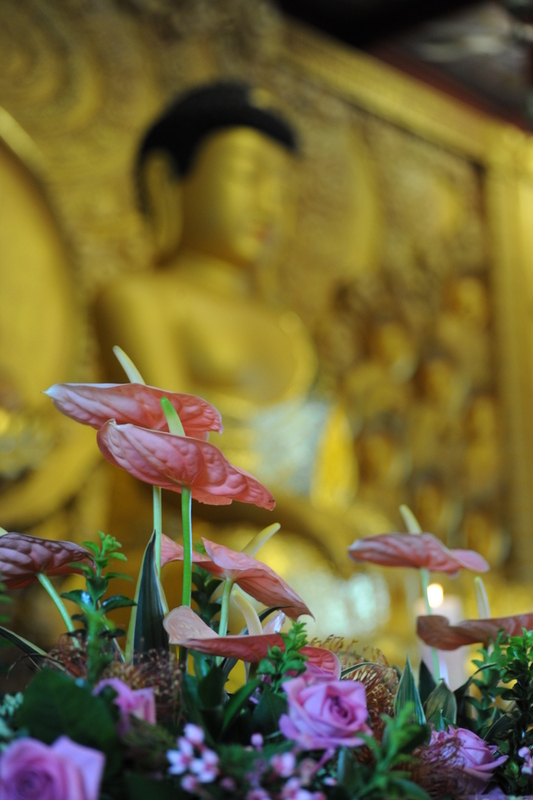 Sunim, thank you for posting this series of pictures. 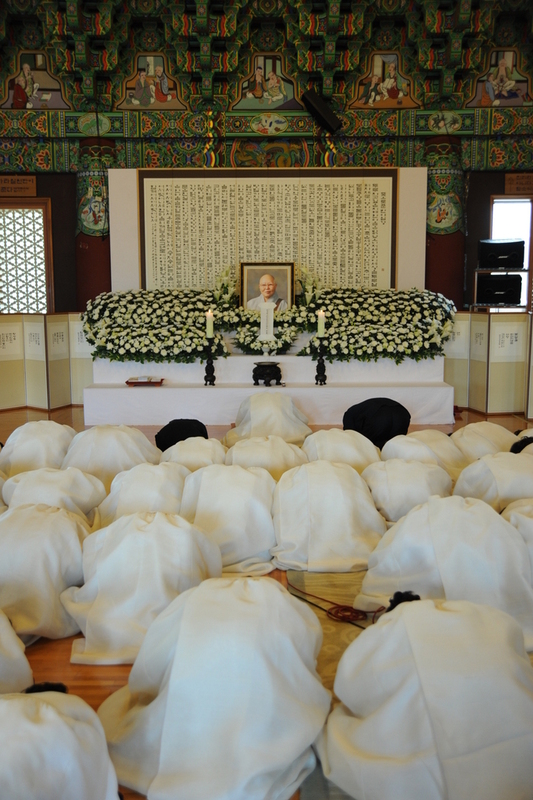 I have a question: what is the large framed text on the wall behind the flowers and photo of Daehaeng Kun Sunim? Hi Mark, the text is a Korean version of the Heart Sutra. Such things are not my true essence. such as realms of the living and the dead. 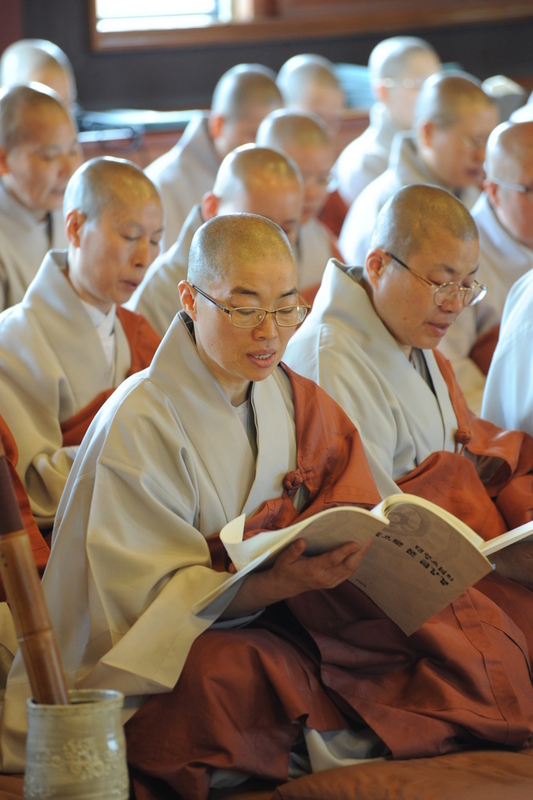 Somehow i only just found out this very morning about Daehaeng Kun Sunim’s life, her amazing wisdom and compassion. For several hours I’ve been doing Google searches and reading everything i can find on Kun Sunim’s life and mission and the various online talks/writings by her,… and downloading everything into a gigantic MS Word file about her. And just now, Chong Go, reading your several blogs about her passing, the funeral and memorial services, i just realized: TODAY is exactly the 49th day since the Master dropped her body! How auspicious…. Tears rolling down the cheeks in gratitude to the omnipresent Daehaeng Kun Sunim who is none other than this formless, changeless, boundless and quite omnipresent and omni-gracefull Buddha-nature within all beings. The music was like waves washing over while the tears of gratitude flowed. 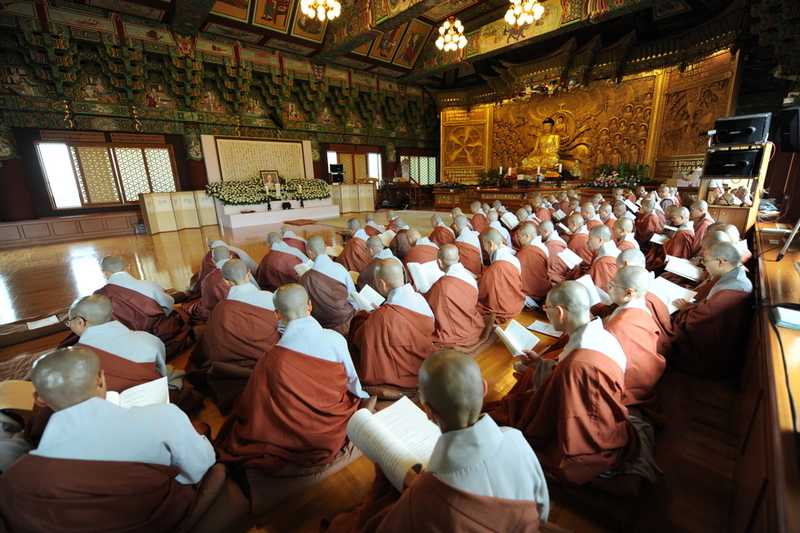 What more obvious signs would one need to realize that YES, indeed, Daehaeng is truly the timeless, spaceless, all-accomplishing Buddha-Nature, the One Intelligence and Kindness, leaving little sweet “calling cards” here, there and everywhere. and their divinely dimensionless Root. Thank you, Daehaeng Kun Sunim. Kwanseum Bosal…. Bowing directionlessly to Thee, O True Self of all selves….